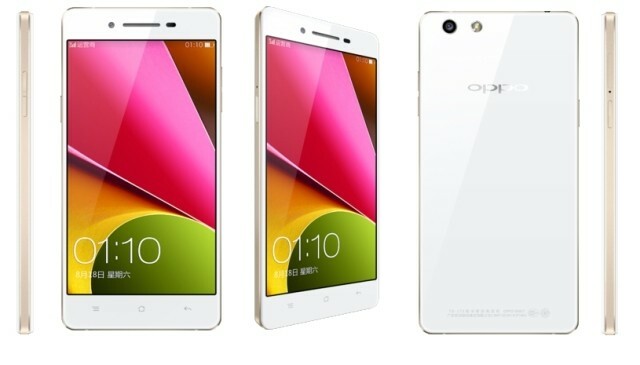 Chinese manufacturer OPPO had officially announced the OPPO R1S, which is an upgraded variant of the popular OPPO R1 on 25th of last month. In the latest news trickling in from the Chinese manufacturer, the device can now be purchased from OPPO’s web-store right now. The OPPO R1S shares its specifications with the R1 which was unveiled during the MWC earlier this year. However there is one major change which the OPPO R1S carries – the device brings across 4G LTE connectivity thanks to OPPO making the switch from the Mediatek MT6582 for the OPPO R1 to a Qualcomm MSM8226 processor for the OPPO R1S. For a recap, the OPPO R1S sports a full Gorilla Glass 3 clad body with a 5-inch 720p HD display screen which offers a 294 ppi pixel density. In terms of connectivity options, the device sports dual SIM quad-band GSM and dual-band 3G connectivity. 4G LTE is available on the R1S thanks to the Qualcomm Snapdragon 400 MSM8226 processor, which is clocked at 1.6 GHz and a faster Adreno 305 graphics processing unit (GPU) along with 1 GB of RAM. Internal storage is limited at 16 GB and there is no MicroSD slot available. An upgraded 13 mega pixel primary snapper bearing Sony’s top quality sensors is capable of 1080p video recording and exceptional low-light photography, whereas Selfies and the occasional video call will be catered to by a 5 MP secondary front facing camera. The cameras and the Gorilla Glass 3 design are the primary selling points which have seen the OPPO R1 gain a fan following in China. Since the same design features have been copied over to the OPPO R1S, we would assume this phone to perform great as well. The device will run on OPPO’s Color OS, which is basically skinned variant of Android 4.3 Jelly Bean and can be purchased from OPPO’s web-store for 2498 Yuan ($400). In some more good news, last year’s OPPO Find 5 – the device which saw OPPO entering the Western markets in a big way – has received a 400 Yuan price cut and can now be purchased for 2598 Yuan (roughly $417). The post OPPO R1S Available for $400 Online, Find 5 Gets a Price Cut appeared first on AndroidHeadlines.com |.